Southampton Island has been inhabited by Inuit for thousands of years because of its abundant resources. Coral Harbour is located on Southampton Island, at the north of Hudson’s Bay. The Island has been inhabited by Inuit for thousands of years because of its abundant resources. Until the early 20th Century, the Island was populated by the Sallirmuit people, who are believed to have been the last of the Thule Inuit in the Arctic. The Sallirmuit were well known for their short stature, unbelievable strength, different hairstyles, and their unique language. Tragically, they died from an epidemic, the deadly typhus disease, carried by the Scottish whalers in 1902. However, 3 Sallirmiut survived the epidemic and were brought ashore by whalers. A woman and 2 children. The RCMP, in the sprinf of 1902, transported the individuals back to Chesterfield Inlet. The woman and one child were taken to the Baker Lake area. The woman died shortly after arriving there. The child was taken to Repulse Bay where he died in 1948. 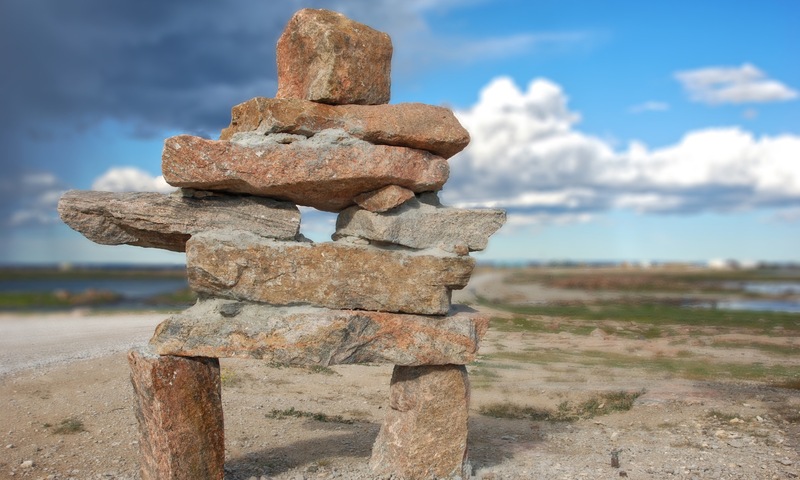 You can still visit a Sallirmuit camp at Native Point, located 64 km southeast of Coral Harbour, where you will find sod huts, bones, ruins and animal parts.